I-99/I-80 Gets a Boost | Glenn O. Hawbaker Inc.
We wanted to take this opportunity to update you on recent developments related to the proposed I-99/I-80 high speed interchange at the Bellefonte exit. 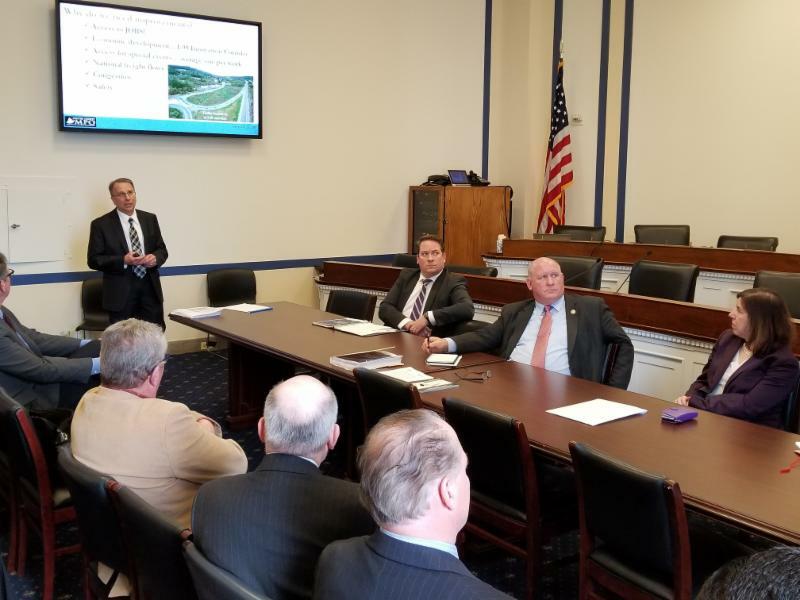 On Wednesday, Feb. 28, a contingent of business, community and government stakeholders from Centre County and the region traveled to Washington, DC to meet with Congressman Glenn “GT” Thompson, PennDOT Secretary Leslie Richards, and key Pennsylvania congressional staff in a show of support for the interchange project. During the meeting, the Chamber of Business & Industry of Centre County also presented a statement of support that included the signatures of current individual and business ‘DRIVE Forward’ supporters. 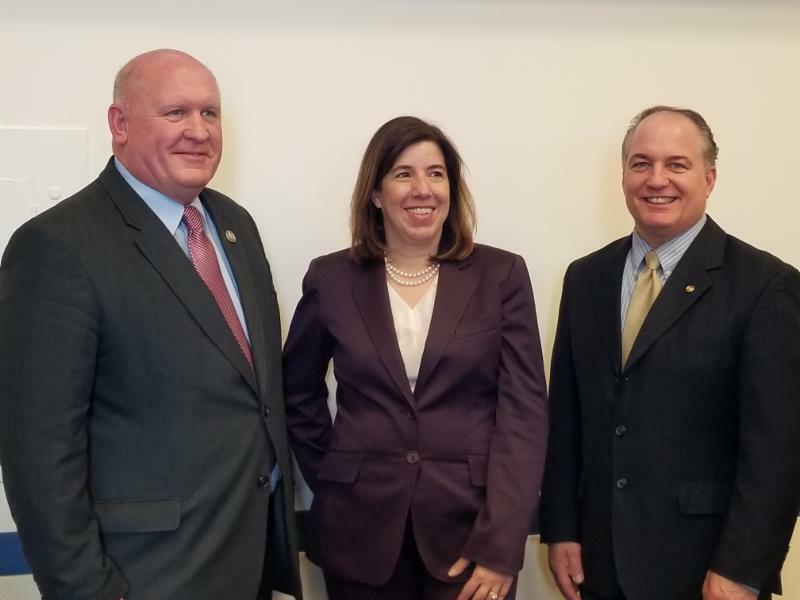 PennDOT Secretary Richards provided an update on the status of the Infrastructure for Rebuilding America (INFRA) grant application her department submitted to the federal government in October. Approval of that grant is essential to moving this project forward. Richards stressed that the interchange is the only project PennDOT submitted for funding through the INFRA program, demonstrating its priority status within the department. Nationwide, about 200 projects are being considered for INFRA funding. Review of those applications is expected to begin at the end of March. Additional information about Wednesday’s meeting and the interchange project will be available in the near future on the ‘DRIVE Forward’ website — www.driveforwardcc.com. 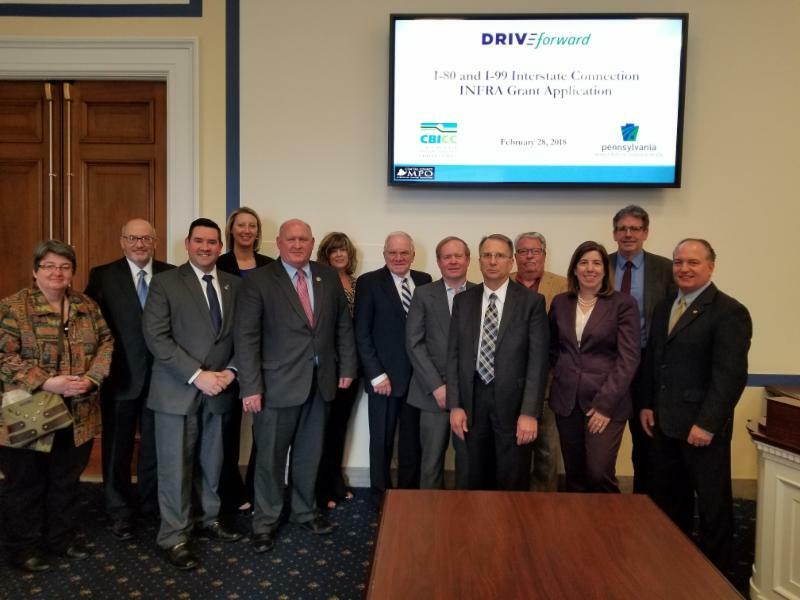 We encourage you to periodically check the website for new information, and stay tuned for information on how you can help the ‘DRIVE Forward’ coalition work to secure federal approval of PennDOT’s INFRA grant application. Thank you again for your support. Questions? Email: lkistner@cbicc.org. Tom Zilla, Centre County Metropolitan Planning Organization, details the importance of the project to the region’s transportation system. Other attendees included representatives from the CBICC, Penn State University, state Rep. Mike Hanna’s office, Spring Township, Marion Township, and Larson Design Group. 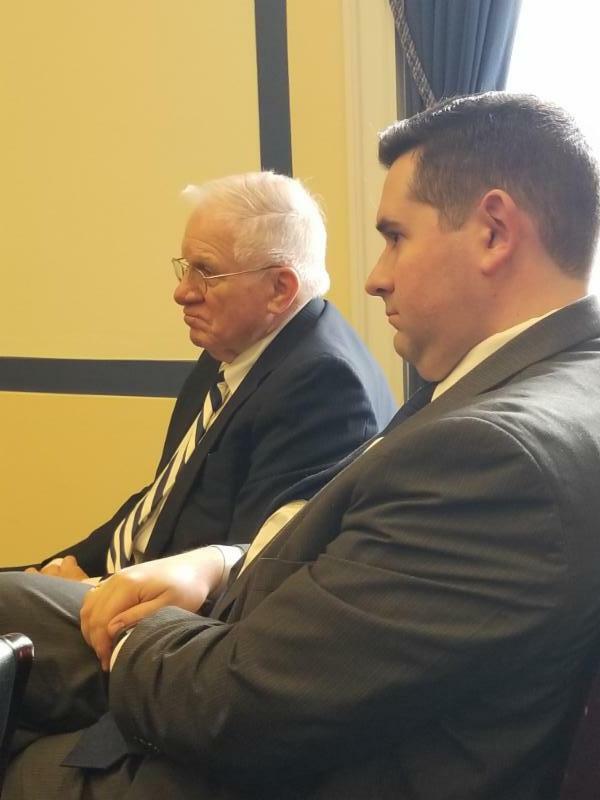 Dan Hawbaker, president of Glenn O. Hawbaker, Inc., and Matt Wise, representing Sen. Jake Corman, were among the stakeholders in attendance at the meeting.